Stones have been powerful symbols for centuries, since the dawn of the human civilization. Birthstones, in particular, have been associated with metaphysical and healing powers, and with powers to protect and keep negative forces at bay. But what is the color of your birthstone? Is it that important? Not really. But it is important to say that the association of stones with Zodiac signs is a relatively new concept, dating some 100 years back and updated several times during this time. That being said, don’t just accept blindly these charts and don’t be afraid to investigate the birthstones that belong to other Zodiac signs. The most dominant January birthstone color is red. Some other colors include, yellow, green, and blue. This range of colors is reflected in the associated crystals and stones. Garnet, which is of deep red color, is the first and foremost birthstone of the month of January. 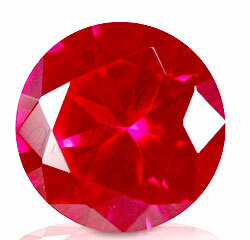 Another January stone that comes in red color is red Zircon, also known as Hyacinth. Besides red, additional color of the month of January is green. Emerald and Serpentine are two secondary birthstones often associated with this time of the year. 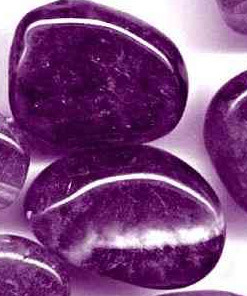 The dominant color of the February birthstones is purple. And when talking about purple stones, one stands out: Amethyst. Indeed, Amethyst is the dominant birthstone of February. It can be purchased in a broad spectrum of colors, from lavender, via pink, to deep purple. Amethyst can offer a fantastic protection against all types of addiction. It instills peace, protection, and freedom. 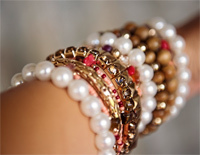 As a secondary color, we may choose white, for example Pearls, or Moonstone. Green is another choice, for example Heliotrope (Bloodstone). 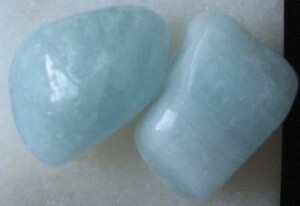 The main birthstone of the month of March is Aquamarine. Hence, the blue color is the dominant color for this month. The colors of the sea are reflected in this stone, bringing marine healing powers to the body and cooling the overly disturbed emotions. Apart from Aquamarine, the other colors of this month are green (Bloodstone – green with red spots, and Jade – green is the most common color). Red is also an option if you are born in the month of March, and here you may choose Jasper, whose most common color is red, but brown is also very frequently seen, especially in the lighter hues. 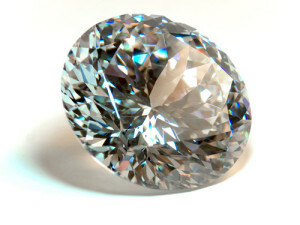 As far as this month is concerned, we have Diamond as its most representative gemstone. This, the most common color of the birthstones of the month of April is clear or transparent. Diamond is primarily colorless, of course, but it comes also in many other colors, like red, yellow, blue, pink, even black. 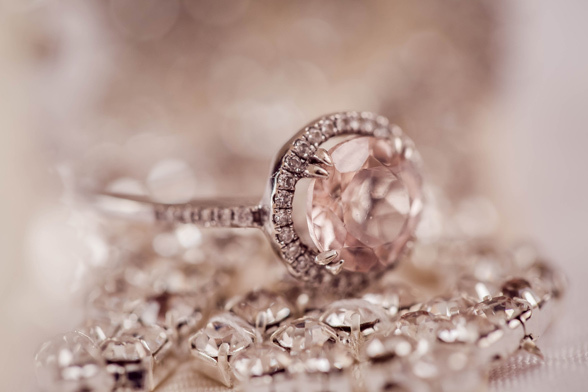 You are lucky if your birthstone is Diamond, as this is one of the most powerful stones there is. But, as we said, anyone can wear this stone and enjoy the irradiation and metaphysical benefits it brings to your auric field. Other clear stones that can be considered birthstones for this month are Rock crystal and Clear Sapphire. From the group of non-transparent gems, you may consider selecting Opal as a multi colored stone as your April birthstone. 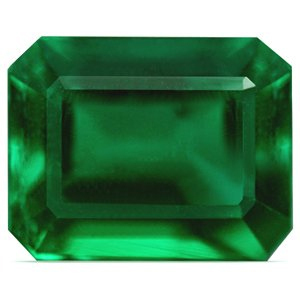 When it comes to birthstones, the month of May is characterized by the emerald green hues of the Emerald. Emerald is a very potent stone with healing and spiritual properties. So green is the most important color for this month. Other birthstones include Agate, which also comes in green colors. The complementary red is the alternative color (for example something of red color from the huge family of Agate), as well as white, like white Chalcedony. The most commonly associated birthstones with the month of June are Pearl and Alexandrite. As stones of the Moon, Pearls are primarily white, but they can also be black, blue, or golden. However, the birthstones that belong to this month come in a variety of different colors. Yellow, as in Cat’s eye, blue as in Turquoise, and green as in Emerald. Alexandrite is one of the color shifters, it can range from blue or green to red or pink. The first and foremost birthstone of the month of July is Ruby. The characteristic red color of this valuable gem cannot be confused with any other shade. Especially the most valuable pigeon red Ruby. It brings passion and elegance, harmony and love. Carnelian, which is another July Birthstone, can also be red. Sardonyx, which is another birthstone of this month, can also have red and white bands across its body. Additional colors include black, white, and blue. Onyx is a typical black stone, Sardonyx is reddish and white, while turquoise is blue. Peridot is the most important birthstone of August. With its stunningly vibrant green shades, it stands out from all the other green gemstones. 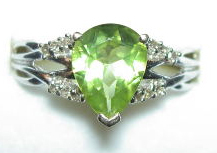 In fact, it may range in color from green to yellow, but light green is the dominant August birthstone color. Colors like yellow, white, and red also come into question. Carnelian is the other birthstone for this month, but Sardonyx, White Sapphire, Alexandrite, Yellow Topaz, and Moonstone are also viable alternatives. Blue Sapphire is the main birthstone of September. Sapphire is a popular gemstone, often used in jewelry for rings, earrings, and pendants. It has been associated with purity and grace. Even though they come in white, pink, yellow, and many other colors, blue is the most characteristic color of this month. Alternative stones include Lapis lazuli, and Zircon. Lapis has a very characteristic blue color with white specks. 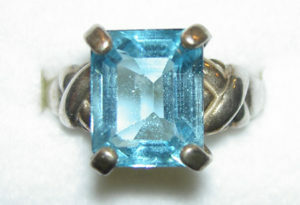 One of the colors of Zircon is blue as well. If you are looking for something other than blue, you may consider green, red, and white gemstones. The most prominent birthstone for this month is Opal. It is not easy to assign color to Opal, because it is multi-colored in its precious variations. 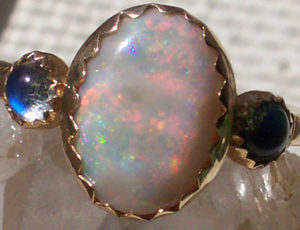 In facts, Opals are notorious for the unique play of colored light, which makes them very expensive. Additional birthstones include Tourmaline, especially pink Tourmaline, blue Aquamarine, blue Beryl, and red Jasper. The main birthstone of this month is Yellow Topaz. 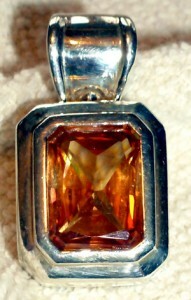 Although Topaz itself comes in many different colors, yellow is the dominant one (the so called Imperial Topaz). In line with this, Citrine may be a good alternative and also a nice protective stone that at the same time attracts abundance. 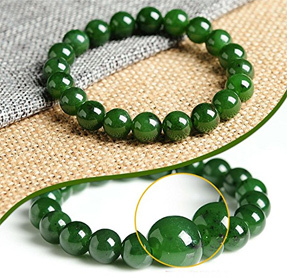 Chrysoberyl Cat’s eye is a very expensive choice that also comes in mind. If you can afford it, go for it. Brown is another possible color for this month, as all the above gems can be found in brownish shades. Yellow is the main color for November, whereas and Yellow Topaz is the main birthstone of November, the other popular Topaz variety — Blue is the main color of December. The alternative is to chose Turquoise. Other stones that also may be a good choice are Tanzanite, Lapis lazuli, and blue Chrysoprase. As for the other colors, one may choose red, as in Ruby, black, as in Onyx, and green as in green Chrysoprase. What Your Birthstones Say About Your Personality?